Back to Eton I went for the second time this year except this time the weather was nicer and it wasn’t as windy. I have been training hard on my bike and run disciplines, so I felt confident they were moving in the right direction, but now it was time to see whether this confidence was justified. After a quick registration, I racked my bike and got my transition ready for the race. 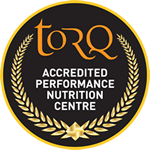 I completed a 20 minute jog and after consuming a TORQ gel, rinsed down with a sip of TORQ energy drink, I was ready to race. Wetsuit on and race briefing done, I splashed around a bit then made my way to the start line. After a short wait, the horn sounded and I found a good rhythm early on and decided to sustain this until the first turn buoy; no problems with navigation today. Safely round and across to the second buoy, another right turn and I was now heading back towards shore with a good gap over the chasing athletes. After navigating the last buoy I was shore-bound and soon enough back on my feet heading towards transition. Wetsuit around my waist, I arrived at my bike, on went my Limar helmet and following a couple of stomps my 2XU wetsuit was off and it was time for my first of 6 laps on the bike. My Lake shoes pulled on perfectly and I was in time trial mode sustaining a hard but comfortable pace. The laps flew by and I was onto lap 3 already, time for a sip of TORQ and back into the groove. Nobody was catching and I held the same pace for the remaining 3 laps entering transition (after a stylish dismount) still leading. Helmet off and runners on, I pushed on easier than normal deciding to build into the run rather than hitting too high an intensity early on and this seemed to work. Half way through the first lap, my legs had come right and my posture was feeling good, so I pushed on keeping the pace sustainable and lengthened my stride out further. 2.5k done and I proceeded to increase the pace again hitting my top end with 1.25K to go. Suffering ensued for the final stretch, but I grinned and bared it crossing the line in 59.31. Another win for the year and testimony to Team TORQ’s Sponsors for all their help. Thanks again to everyone.